If you renewed on time in 2019 and would like to register early, select this ticket. If you renewed on time in 2019 and would like to register early, select this ticket. You'll save 10%! Welcome to OAS! 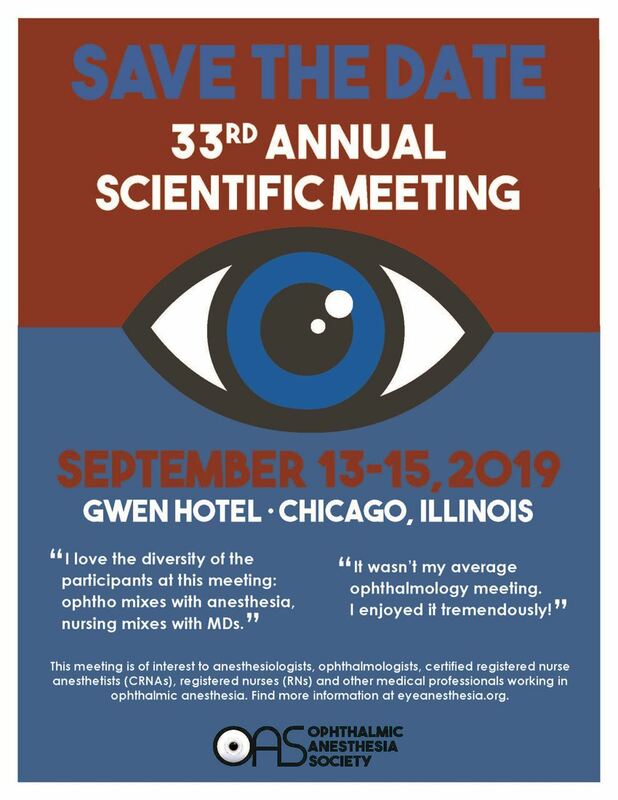 If you are a CRNA and joined the society in 2019, you should register using this ticket. Welcome to OAS! If you are MD/DO and joined the society in 2019, you should register using this ticket. Welcome to OAS! If you are a RN and joined the society in 2019, you should register using this ticket. Register by August 24 to receive discounted rates!